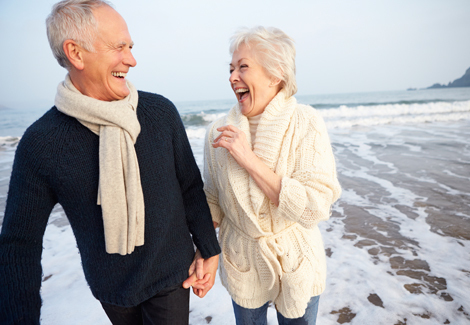 At its most basic level, Retirement Planning with the Nida Financial Group means putting strategies in place to ensure you do not outlive your money. When we meet with new clients, one of the biggest fears mentioned is running out of money. Most come from the perspective of not wanting to be a burden to their children in their elder years. Other want to make sure they have the ability to not just live comfortably, but also to be able to provide for their children, grandchildren and great-grandchildren. Retirement Planning should be thought of as an umbrella, a term meant to capture all elements of financial planning that eventually leads to an individual's retirement. Though often thought of as something you do as you approach age 65, in point of fact, retirement planning begins the moment you enter the workforce. Retirement planning includes identifying sources of income, estimating expenses, implementing a savings program and managing assets. Early in one's career, the priority is on home and family and incomes are generally lower. The focus in this stage of Retirement Planning is on leveraging a company's (or an individual's) retirement savings account. As your children reach college age, individuals begin the middle phase of their career, where retirement goals become more clearly defined. Topics such as travel, lifestyle and desired monthly income become more concrete and therefore the investments become much more targeted to be able to achieve those dreams. Then, as individuals reach that golden age of retirement, strategies are implemented to maximize cash-flow while minimizing tax burden. The Nida Financial Group can walk you through each of these seasons of your life, helping you to plan efficiently and effectively for that time when you can experience the joys of living the golden life.